Being an MMO (Massively Multiplayer Online) game, this means that all players that are playing Airside Andy at the same time, can see each other in the game. The game therefore looks exactly the same for every person who is on it at that time. This means that players can interact with one another. As Airside Andy is created for children that are still very young (3-8 years old), there are certain safety measures that we have to take in order to ensure safe game play and interaction. 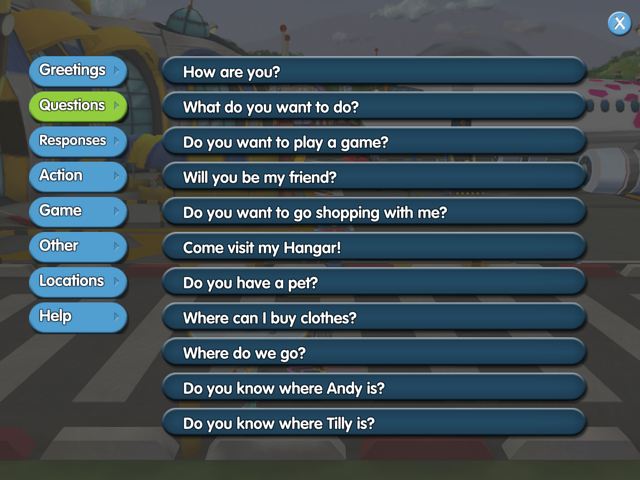 We have created a number of pre-determined scripts that players can use; these range from greetings, to questions, to answers, and simple help topics. Players are unable to communicate with each other using texts other than the pre-determined ones, meaning we can control what players are saying to one another. By moderating what communication passes between players, this eliminates personal details being shared through the app; therefore even if your child is talking and connecting with someone that they may not know in real life, you can rest assured that they are doing so in a safe and very controlled environment. For added security, choose a username which does not reveal any personal details. 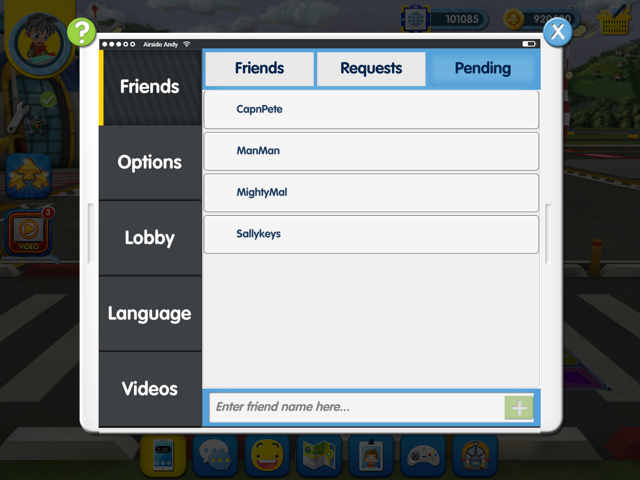 Players can ‘add’ each other as friends, by ending other players friend requests. Once added as friends, players can visit each other’s hangars, which every player has to opportunity to customise exactly how they want. Another player can only visit your hangar if you are friends with them, meaning each player is able to control who can and can’t come into their hanger. By interacting in this way, this allows your child’s social and relationship skills to develop; which are part of SEL (Social and Emotional Learning). Although the SEL framework is firmly integrated in the education system, it is also important to continue developing these skills outside of the classroom. If your child wishes to play away from a certain other player in the game, there are three ‘servers’- these are called Lifty, Shifty and Swifty (after our dearly beloved baggage carts). 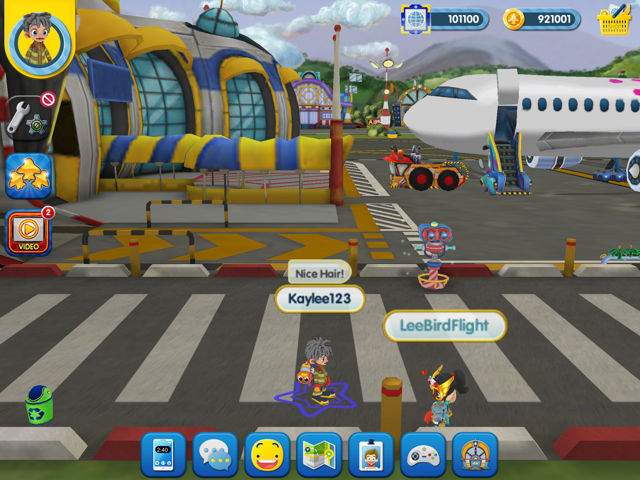 Though all players can see each other, there are three Airside Andy ‘worlds’- this means you will only the the players that are currently playing in the same ‘world’- or server- as yourself. To switch servers, click on the phone icon, on the left of your menu at the bottom of your screen. Select the ‘lobby’ option on the left hand side, and simply decide which server you would like to visit. Happy – and safe – gaming!